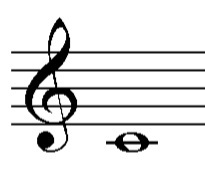 The treble is the most common clef used today. Treble clef is the upper clef in the grand staff for harp and keyboard instruments. Letter names below with a phrase and word that may help with remembering them. 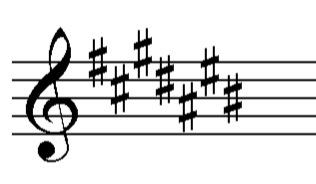 This is the order of the seven sharps written in the treble clef. 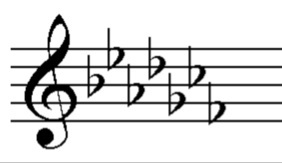 This is the order of the seven flats written in the treble clef.